And Minister for Trade, Industry, Tourism, Lands and Mineral Resources Faiyaz Koya has congratulated the Lion One Ltd Mines for their ongoing belief in the government of the day and the people of Fiji. 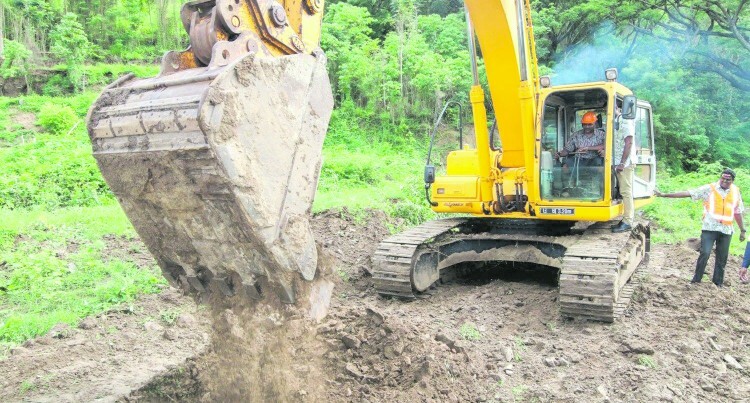 Mr Koya, the acting prime minister, said : “Finances committed by the company to date has amounted to approximately $100 million in various forms of operations such as the exploration work, mine preparatory plans, environmental management measures and of course contributing to the economy through employment of its skilled Fijian workforce. “Currently the company employs 50 locals and about 3 expatriates and this will surely increase in the near future.” Mr Koya said. The Minister said the new employment business opportunities would go well for the people of Sabeto and particularly acknowledged the landowners and the people. “I would like to acknowledge the support given by the 20 mataqalis whose land is the centre of this exploration and mining works. “To all the Turaga ni Mataqali, thank you and vinaka vakalevu for your continued support and belief. “Your unwavering commitment is truly commendable and I am certain that today’s ground breaking ceremony will benefit your communities in many, many ways. “Not only for this generation, but for generations to come.” Mr Koya said. “This work will open up the Sabeto corridor, bringing in the much needed business in the area. “This is one of the plans of the Fiji First government, in which the decentralisation of services and business is encouraged for rural communities. “Consequent to this, will be the improvement of health and educational facilities, infrastructure and business which will boost the economy and the livelihoods of these Sabeto communities,” he said. For a relatively new company, Mr Koya commended Lion One Ltd Mines for its vision and determination. “In January 2016, our Honourable Prime Minister issued Lion One Tuvatu, its Special Mining Lease. “This was a 21 years surface lease which commenced from May 2014 and it is evident how the company has forged ahead in meeting its exploration targets, now advancing into the next stage of finalising its deposits for mine production,” he said. The Miinster also urged everyone present to continue looking after the environment even while business investors grew. “With the Honourable Prime Minister leading the global charge to combat climate change by taking up the Presidency of COP 23 and this being the first time ever in the history of Fiji, we have a monumental task. “We must get behind our Prime Minister and ensure we tell the world that we are doing our part, despite being the smallest contributors to global warming. “And yes, we would not wish to see that day when we are not able to breathe fresh air or drink clean water, things we take for granted in Fiji. “Thus, I urge you all to work together in protecting our environment and learn our lessons from previous climate events, to help us build resilience and promote a culture of caring and protection what surrounds us – our environment, our beautiful country and the world,” he said.